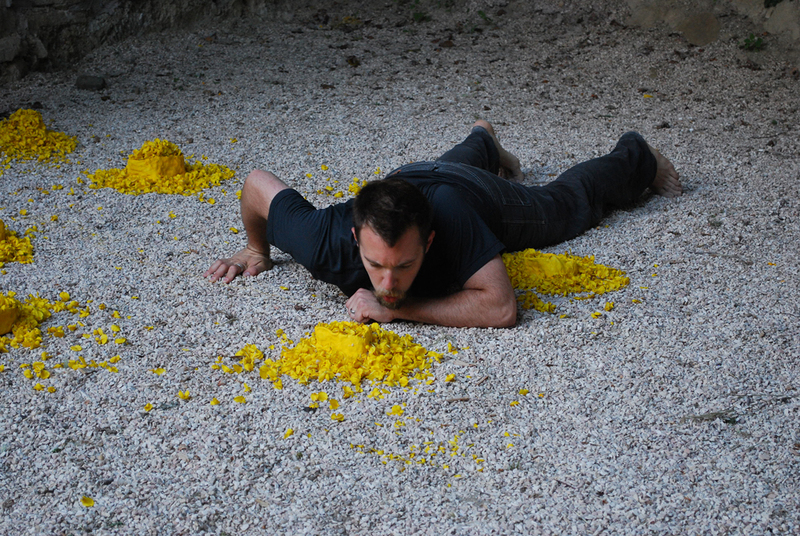 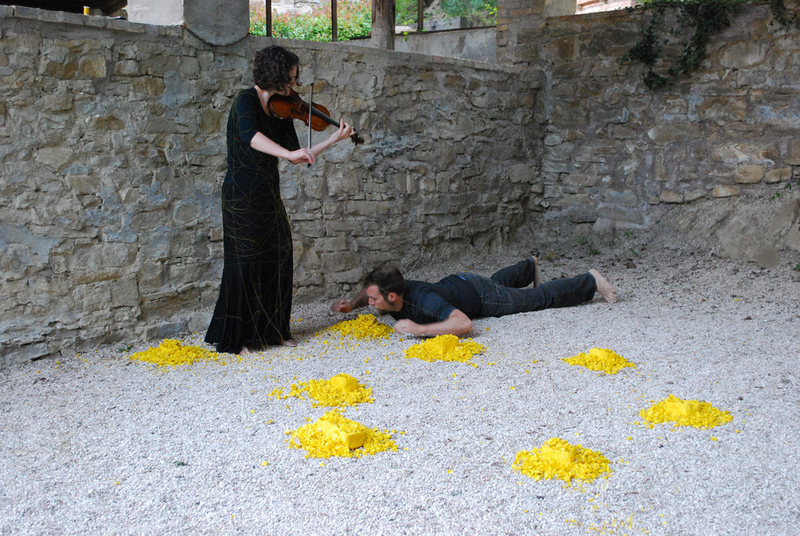 "Le Segnavie/The Guides was a 25-minute site-specific performance and installation that took place at 5:30 am on Sunday June 19, 2011 at Arte Studio Ginistrelle, Italy. 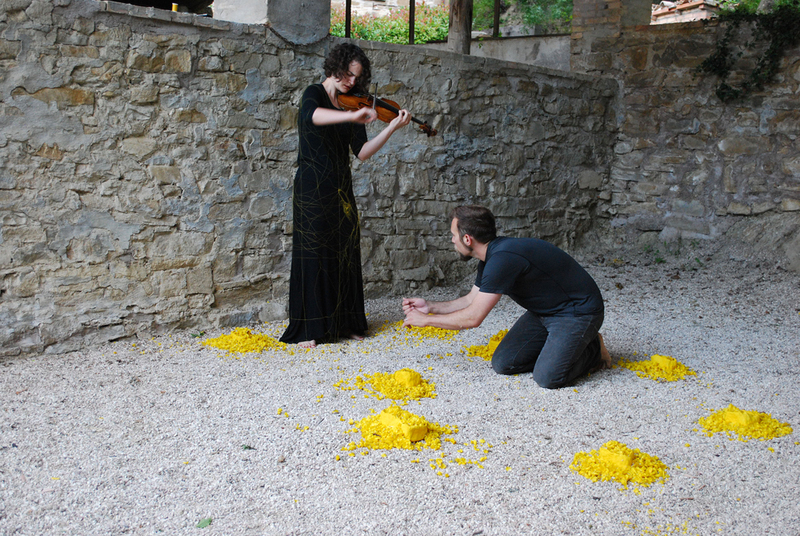 It consisted of the bright yellow ginestre flowers from the mountainside, eight painted clay vessels, yellow thread, two performers and a partially improvised/partially-scored piece of music based on St. Francis' Canticle of the Sun. 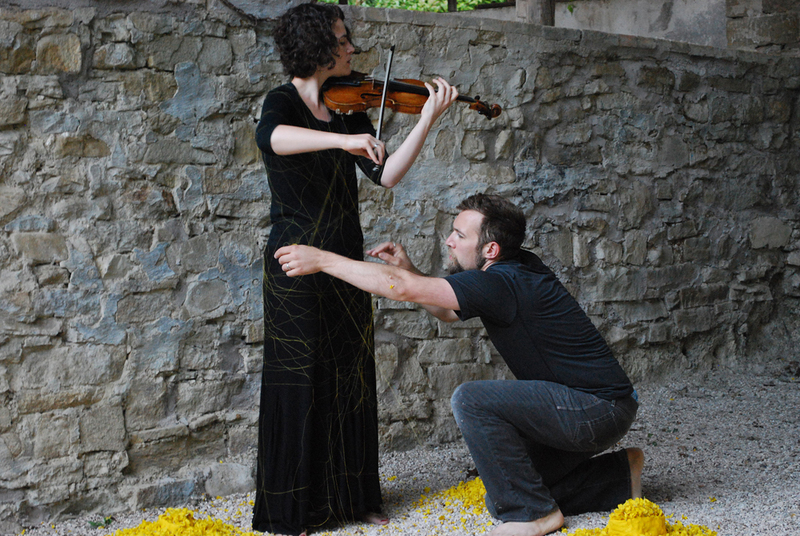 The two performers alternate leading each other through the piece and open playing field using sound, motion, breath and line in space. 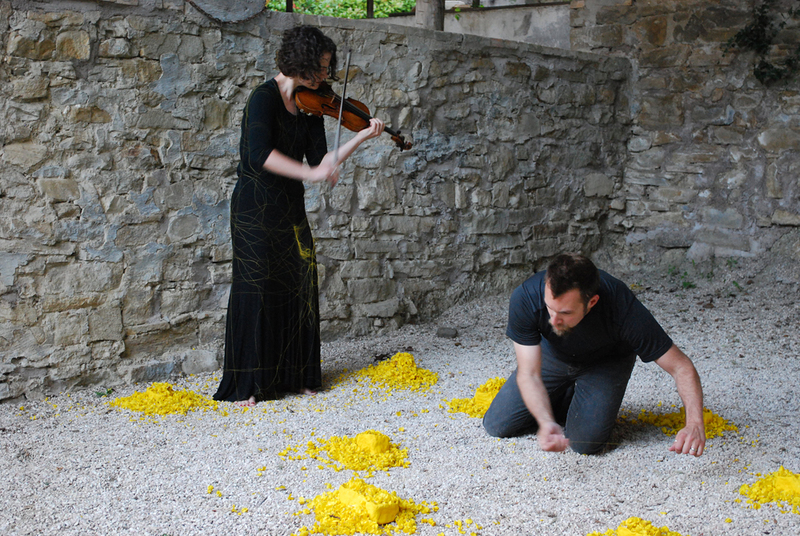 Each clay vessel represents a different tonal area the violinist addresses. 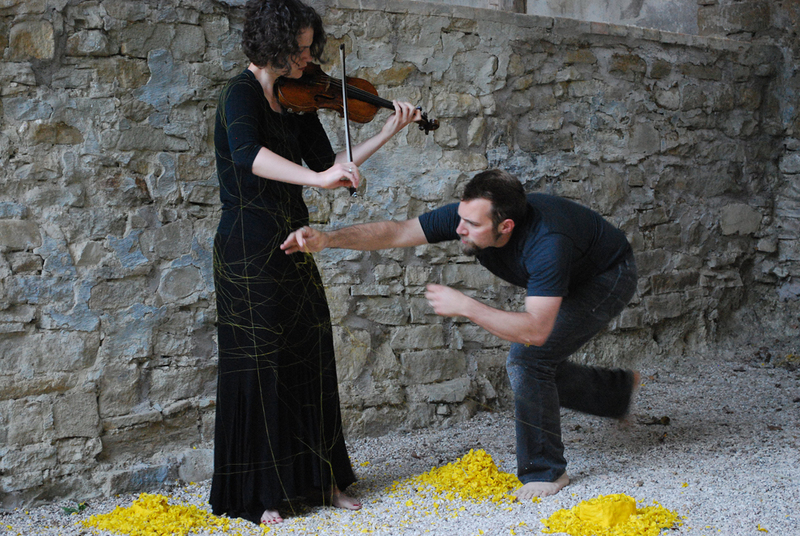 In early musical notation, before the five-line staff, notes appeared as "neumes"--open-ended tonal signifiers that came from the Greek word for "breath." 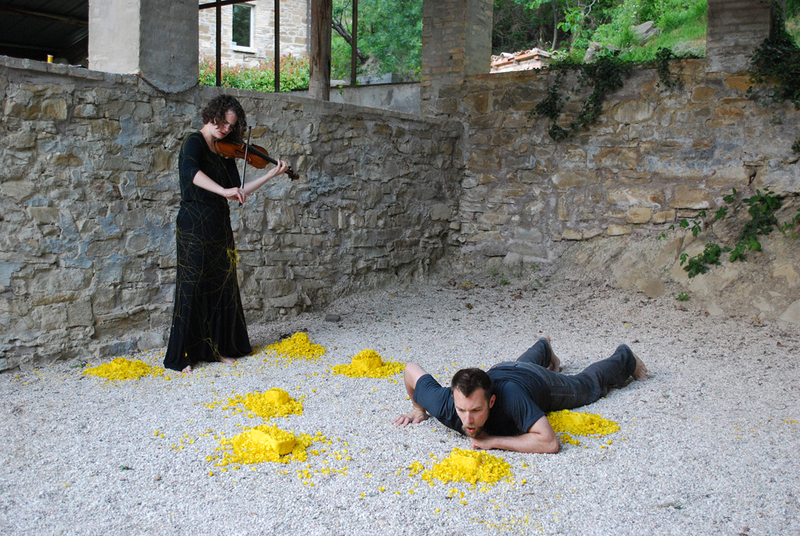 It is the job of the other performer to detach the violinist from the clay vessels as she plays through them. 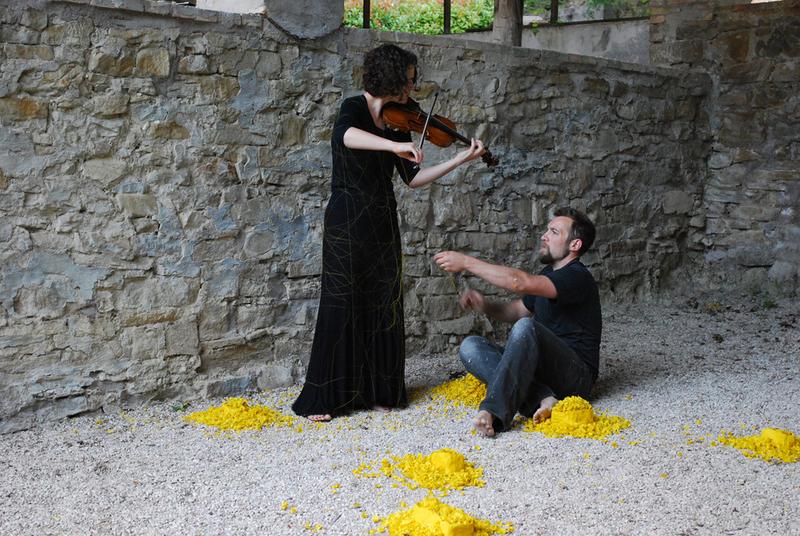 A version of the piece was re-staged in October at a gallery in Assisi, Italy, where the yellow thread from the performance was left for the public to wrap, guide, and draw in space over the large iron gates. 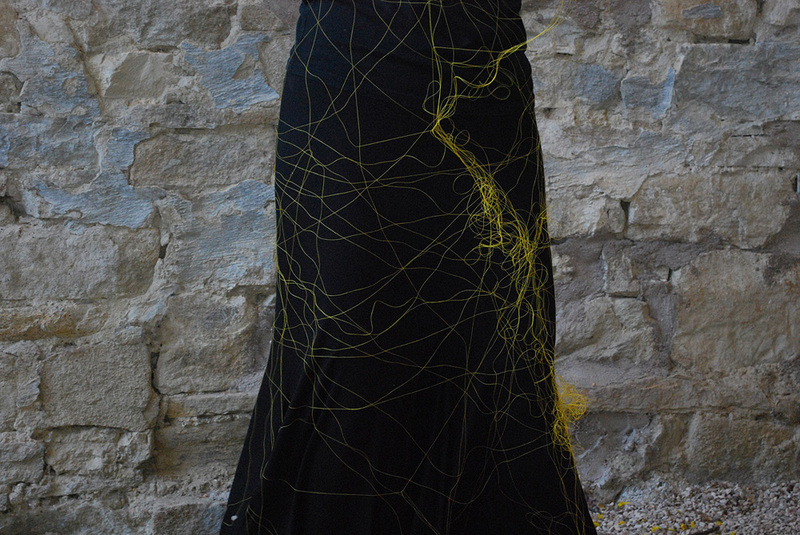 Another incarnation was featured at the Museum of Nebraska Art in 2012.